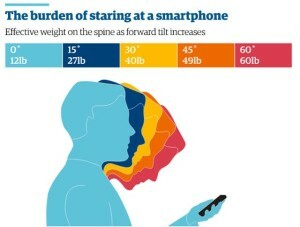 Text Neck: How Your Smartphone Is Affecting Your Spine ? While technological devices have pretty much become indispensable to our lives, they could literally become a pain in the neck if we’re not careful. Read on to find out what text neck is, how it affects your health and how you can prevent it. An American chiropractor named Dean Fishman first coined the term ‘text neck’ to describe the repeated stress injury caused to the spine when a person spends a lot of time bent over an electric device, like a smartphone, tablet or e-reader. While it is a relatively new health condition, it is already a major global concern that is affecting millions of people. How does text neck affect your health? The human head weighs about 10 or 12 pounds. However, a study conducted at New York Spine & Rehab Medicine found that as the neck bends forward, the weight exerted on the cervical spine increases. If the person is bent forward at a 15 degree angle, the weight on the spine is 27 pounds, at a 30 degree angle it is 40 pounds and at a 60 degree angle, the weight is about 60 pounds. To give you an idea of what 60 pounds feels like, imagine having an eight year old child strapped around your neck for a couple hours every day. On an average, people spend two to four hours bent over their phones per day. That adds up to anywhere between 700 and 1,400 hours of stress on your cervical spine every year. Teenagers who are in high school are the worst, since they spend an extra 5,000 hours per year in this position. Soreness and inflammation in the neck. Comprised structural integrity of the cervical spine, its curvature and its supporting ligaments, tendons, musculature and bones. Pain in the neck, shoulders, back, arms, hands, wrists and fingers. Headaches and either numbness or tingling in the extremities. 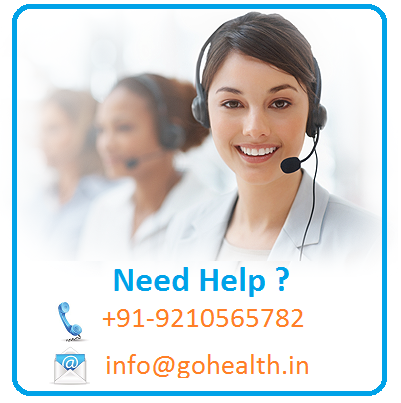 Long term problems like muscle strain, pinched nerves, herniated disks, early arthritis, spinal degeneration or misalignment, muscle damage, nerve damage and gastrointestinal problems. How to avoid text neck? To avoid the problems associated with text neck, make it a point to look at your device with your eyes, without dropping your neck forward. Exercise your neck as often as you can; roll your head around first clockwise then anti-clockwise, turn it from left to right, and nod your head up and down. Sudden changes in the immune system, heart and lungs make pregnant women more susceptible to serious ailments, and even death. Hence, it is imperative for women to get vaccinated before and during their pregnancies. The Federation of Obstetric and Gynaecological Societies of India (FOGSI) shares a compulsory immunisation schedule for pregnant women. Rubella/German measles: This is for women with no history of rubella vaccination or a history of incomplete rubella vaccination. The vaccine should be given in the post-menstrual period. Pregnancy should be deferred for 3 months. HPV: HPV vaccination should also be considered at this time. In case the woman becomes pregnant after receiving the first dose of HPV vaccination, the next dose should be deferred; however, there is no need to terminate the pregnancy. 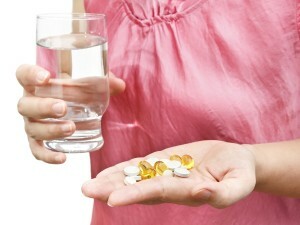 The rest of the dosages can be completed after delivery. Varicella: This is for women with no history of varicella vaccination or a history of incomplete varicella vaccination. The vaccine should be given in the post-menstrual period. Pregnancy should be avoided for a month after the administration of the vaccine. Hepatitis B: This is for women with no history of hepatitis B vaccination or a history of incomplete hepatitis B vaccination. The vaccine should be given in the post-menstrual period. Tetanus/Diphtheria/Pertussis: In contrast to developed nations where tetanus is rare, it is still endemic in India. In 2012, there were 2404 cases of tetanus reported to the WHO from India. Tetanus diphtheria acellular pertussis (T-dap) vaccination can offer protection against diphtheria and pertussis in addition to tetanus. The regular pertussis vaccination is not advised during pregnancy. As recently as 2012, 2525 new cases of respiratory diphtheria were reported in India. For reasons that are not well understood, pockets of diphtheria are reappearing, primarily in developing countries. Influenza: Influenza vaccination is recommended for mothers after 26 weeks. The inactivated influenza vaccine (as opposed to live attenuated vaccine) is recommended during pregnancy. The number of pregnant women dying of the flu is on the rise. This can be prevented through immunisation. A single shot flu vaccine is the safest and most effective way to prevent the flu and provide immunity to the mother and the baby. Higher rates of influenza-associated complications recorded among pregnant women during the the 2009 H1N1 pandemic resulted in the recognition of pregnant women as a high-risk group and therefore vaccination is recommended. According to research, patients diagnosed with rheumatoid arthritis are at an increased risk of suffering a ‘surprise’ heart attack. A team of cardiologists found that about 25 percent of people suffering from arthritis are at risk of being struck by a sudden heart attack, even though they have no history of heart disease. For patients with arthritis, the risk of suffering a heart attack was twice that of people without arthritis. This risk was high even when patients had no symptoms of heart disease, and had no association with conventional cardiovascular risk factors such as smoking and diabetes. Rheumatoid arthritis is a chronic progressive disease characterised by inflammation and soreness in the joints, which leads to pain and swelling. “Our study suggests that one quarter of patients with rheumatoid arthritis and no symptoms of heart disease could have a heart attack without prior warning,” said Adriana Puente, a cardiologist at the National Medical Centre in Mexico City, Mexico. 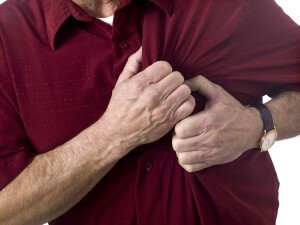 The study included 91 patients who had suffered sudden heart attacks. These patients also suffered from rheumatoid arthritis, but showed no symptoms of heart disease. 90 percent of the study’s participants were women and the average age was 59 years. Researchers also took into account inflammatory indicators, such as the severity of a patient’s rheumatoid arthritis, and other risk factors. The findings showed that 25 percent of the patients had irregular Gated SPECT, which signified lack of blood supply to the heart and the death of heart muscle tissue. “Our study shows that one quarter of patients with rheumatoid arthritis and no symptoms of heart disease do have coronary heart disease. This means they are at increased risk of cardiovascular death,” Puente said. “Rheumatoid arthritis affects 1.6 percent of the general population and is the first cause of consultation in the rheumatology service. The condition nearly doubles the risk of a heart attack but most patients never knew they had heart disease and were never alerted about their cardiovascular risk,” Puente noted. The findings were presented at the International Conference on Nuclear Cardiology and Cardiac CT (ICNC) 12, which was held in Madrid, Spain. Obesity is a disease that affects various parts of the body, including the heart, knees and spine, making an individual more prone to heart attacks, high cholesterol, knee pain and premature ageing. Apart from affecting a person physically, it may also have an emotional and psychological impact on them, as it tends to bring down their self-confidence. 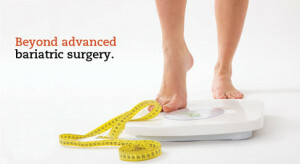 Exercising and following a balanced diet are the only ways to lose weight and overcome obesity. However, when an individual is unable to lose weight and their weight puts them at risk for further health complications, bariatric surgery is advised. It helps get rid of excess fat (also known as morbid weight) around the stomach, either with the help of a gastric band or by doing a surgery around that area. This is performed on people who are double or more than their ideal weight. Weight-loss surgery is not a cure for obesity, but rather a tool to help people lose weight so that they can live a healthier, longer and more fulfilling life. The success of the surgery depends on their ability to follow the diet and exercise guidelines after the surgery, and alter their lifestyle accordingly. Recovering from the surgery can be the most difficult part of one’s journey towards wellness. It requires attention to detail, right from medication to handling of the patient. Though the surgery itself last for a few hours, recovery takes time, and it is crucial in determining the success of the surgery. Supervised care is necessary to mitigate any potential complications in the postoperative period. General complications include infection, problems at the surgical site, and blood clots and loss of muscle strength due to inactivity. 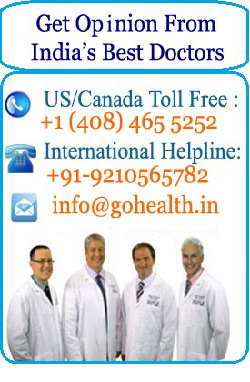 • Follow the diet plan prescribed your doctor and remember to eat slowly. • Exercise every day or walk for 15 minutes. • Shower carefully. Don’t worry if your skin gets red around the staples. However, if the redness becomes severe or you experience pain then consult your doctor immediately. 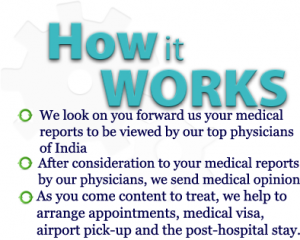 • Make it a point to follow-up with your doctor regularly.